Apartment ibiza for 4 people, fully renovated in a charming family residence in the southwest of the island. Apartment 38 m2 with large terrace of 30m2 with sun lounger. 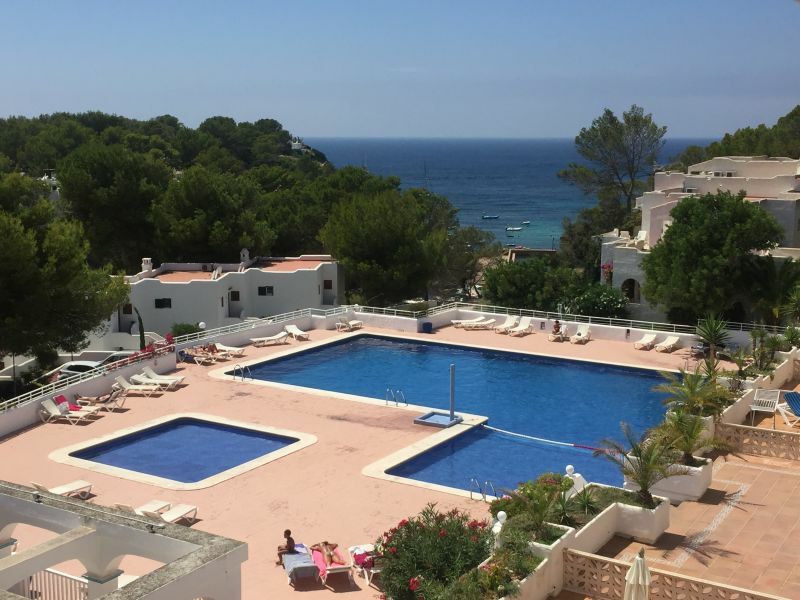 Very large pool including one for children, very beautiful sandy beach (Cala Tarida) nearby. Restaurant and mini-market in the residence. 1 separate bedroom with 1 new double bed, 1 new and comfortable sofa bed, washing machine, air conditioning ..
5 minutes from the beach on foot and 25 minutes from the town of Eivissa by car. The apartment is located southwest of the island which has kept its wild side. Many sandy beaches but also coves are accessible. The sunsets are obviously beautiful. The residence is 10 km from San Antonio, 15km from the airport (20min) and 19km from the city of Eivissa. Very satisfied with this rental, clean and very well appointed apartment, matches the photos, everything was as we hoped if not better. The location is perfect, very close to everything you need, sea, pool, restaurants, pharmacy ... Cala Tarida is a true haven of peace. The price does not include linen rental and final cleaning.